Lumbar disc herniation is one of the leading causes of lower back pain and sciatica. If conservative treatments such as physical therapy and epidural steroid injections fail, microdiscectomy is often considered. 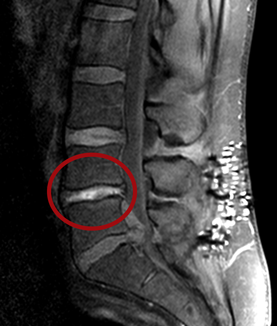 Since microdiscectomy was first described, advancements in minimally invasive techniques, including percutaneous mechanical lumbar discectomy, to reduce intradiscal pressure on the nerve root have evolved. Percutaneous hydrodiscectomy is performed using an approach similar to standard discography to mechanically remove disc material with a high velocity, non-thermal saline fluid jet through a cannulated system. To evaluate clinical outcomes of patients treated with percutaneous hydrodiscectomy. 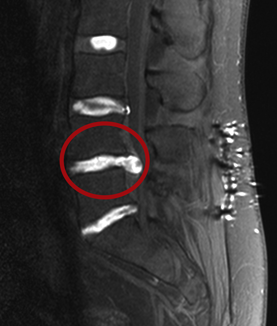 Single center retrospective study on consecutive patients that failed conservative management for radiculopathy secondary to subligamentous lumbar herniated nucleous pulposus treated with percutaneous hydrodiscectomy at a single lumbar level. Fifteen patients (73% male), mean age of 48.7 years (range 26-83) that failed conservative treatment including transforaminal epidural steroid injections underwent percutaneous hydrodiscectomy without complications. Fourteen patients (93%) had improvement in back pain and radiculopathy and met the short-term clinical success criteria of improvement within 6 months post procedure. 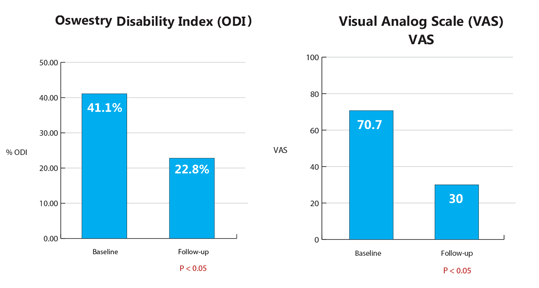 Mean VAS decreased from 70.7 to 30 (p=0.0002) and mean ODI improved from 41.1% to 22.8% (p=0.0007) at last follow-up. Four patients that had successful short-term outcomes subsequently had additional intervention; 2 spinal cord stimulators, 1 hydrodiscectomy at a second level and index level, and 1 artificial disc replacement. These preliminary results demonstrate percutaneous hydrodiscectomy is a viable non-surgical treatment option in a select group of patients with radiculopathy secondary to subligamentous lumbar herniated nucleous pulposus. Larger prospective controlled studies are needed to further refine patient selection and validate the long-term benefits of this promising new technology.